After paying my monthly bill on the DirecTV website, I decide to take a look at the currently available programming packages. I select the "Change Package" option from the account information page and the following page is displayed. The "FREE HD Channels" catches my attention. I've been paying an extra $10 a month for HD. 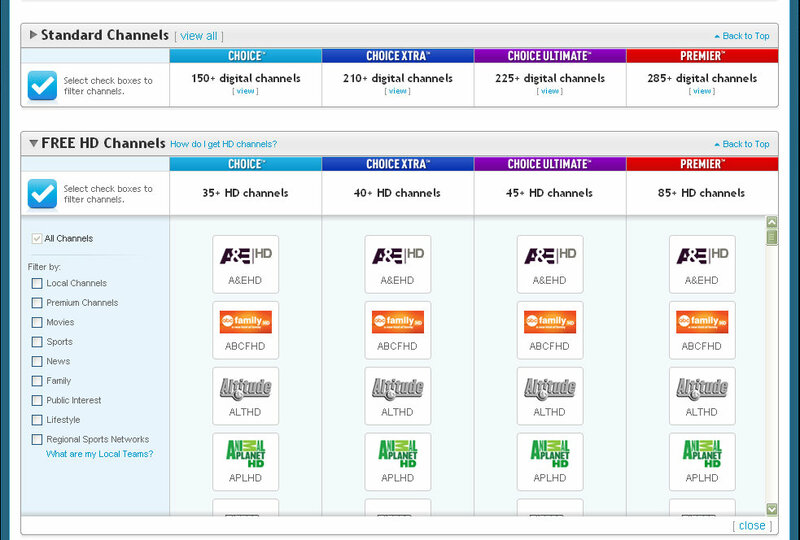 I click on the "How do I get HD channels?" link and the following is displayed. This says "DIRECTV HD service is now FREE for as long as you're a DIRECTV customer." I think "Nice!" So, I go back to my account information to see if I am still being charged $10 a month. The account information page shows that I am being charged $10 a month for this now FREE service. I pick up the phone and call customer service. I was expecting to need to do no more than ask to get my HD service included free with the programming package as advertised. 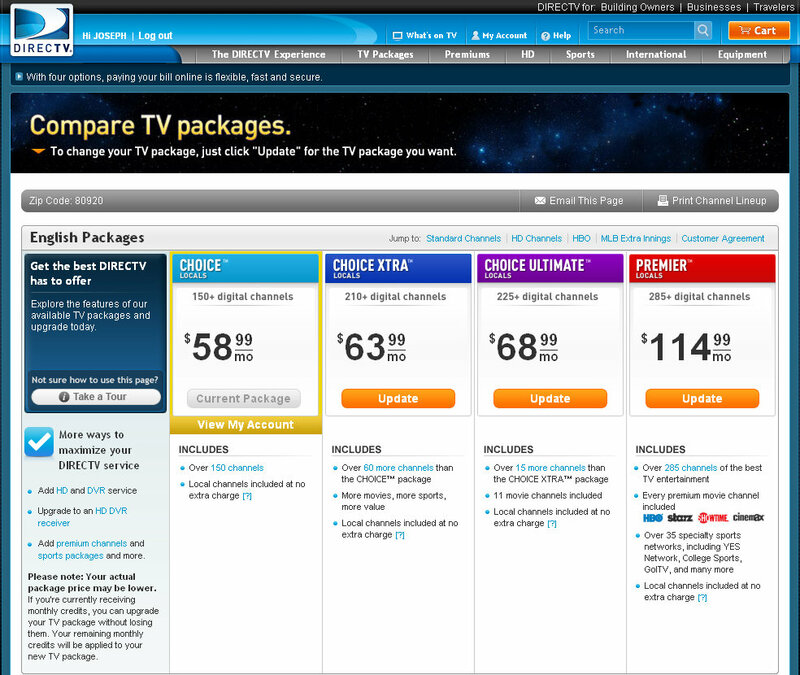 The DirecTV web site says I have Free HD included in my programming package, but I'm being charged $10 a month. The customer service people say they can't see the page I see and can't offer me what the web site says I already have. 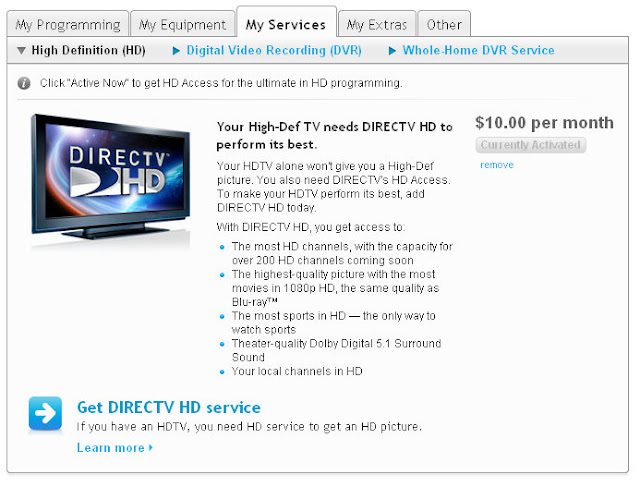 The web site won't let me cancel the $10 HD service and re-add the "free" HD service. It says I need to call customer service to change my HD service. So is this a software problem? Maybe not. However, as causes many software problems, there appears to be a communication problem at DirecTV. It seems the marketing, customer service, and web site people need to get together and figure out what offers they are making to customers. A $160 early cancellation fee doesn't seem so bad right now.